LURAY, Va. — A new discovery rocked historical circles in Virginia when a heretofore unknown chamber in Luray Caverns was revealed to contain ancient cave paintings depicting a winning Washington Redskins season. Dr. Artemis Dunlop, a geology professor from James Madison University, came upon the chamber while on a survey of the caverns’ most recessed areas, during which he spotted an unmapped opening. 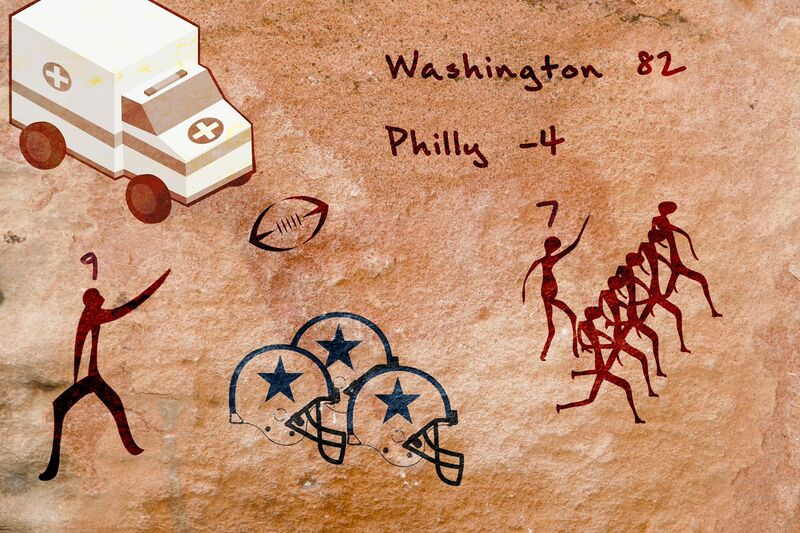 The mural, made up of several smaller paintings, depicted Redskins players in action, including former quarterback Sonny Jurgensen, who is shown throwing a football over Dallas Cowboys’ helmets. In another, legendary quarterback Joe Theismann and his offensive line are accompanied by a makeshift scoreboard that read Washington 82, Philly -4. One of the most stunning paintings portrayed legendary Cowboys quarterback Troy Aikman throwing an interception to cornerback Champ Bailey. “The amount of detail put into Aikman’s disappointed face, complete with tears, was truly remarkable,” Jurgensen commented. Upon close examination, researchers have come to the conclusion that this was not a mural depicting actual events, but instead the artist’s or artists’ fantasy of what could have been if all of these athletes played at the same time. They are still, however, baffled and unable to provide any explanation as to how these ancient people could have known who the Redskins’ powerhouse players would be. From a historical perspective, the find is significant as it is one of only a few intact pieces of early Virginian art. However, Cynthia Matlock, an American history professor at University of Maryland, admitted she was disappointed after realizing that the events depicted were fictional.